What’s a holiday on the Gold Coast without a trip to Southport? With its coastal location and proximity to Surfers Paradise, it’s no surprise that Southport is one of the Gold Coast’s most popular suburbs. 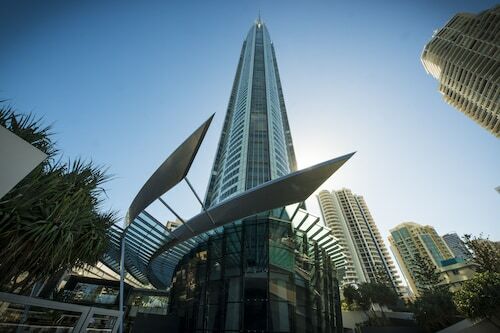 Stay in the heart of the Gold Coast CBD at one of our Southport hotels. Southport was originally known as Nerang Creek Heads but was renamed in 1875 due to its position as the southernmost port in Queensland. Today, the suburb of Southport is regarded as the Gold Coast’s central business district and sits just metres away from a natural coastline. Take a walk along the shore and enjoy the fresh sea air and the soothing sound of the waves. The Southport Broadwater Parklands are further south along the coast and is one of Southport’s main tourist attractions. 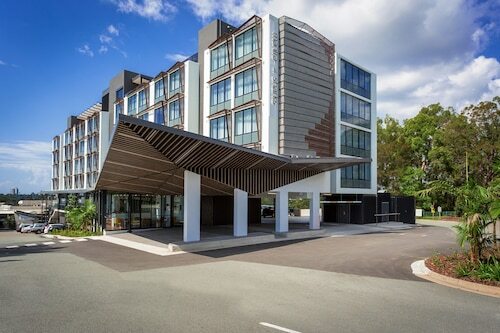 The Parklands include an events space which hosts major events including the Gold Coast Airport Marathon held in July, a public performance stage, unique artwork and picnic and leisure areas. The area is also great for kids, with a jumping pillow installation and the Rockpools water playground, a great and affordable family entertainment option available all year round. Speaking of family fun, Sea World, one of Australia’s most popular theme parks, is located in Southport. Meet dolphins, penguins, polar bears and sharks at the oceanarium, or experience wild thrills and entertainment with the park’s rides and live shows. Southport is also home to two of the biggest shopping centres on the Gold Coast. The Australia Fair Shopping Centre, which overlooks the Southport Broadwater, is a great place to go for your everyday needs. Shop a range of fashion, gifts and homewares, grab some quick eats at the food court or catch a film at the Birch Carroll & Coyle cinema. 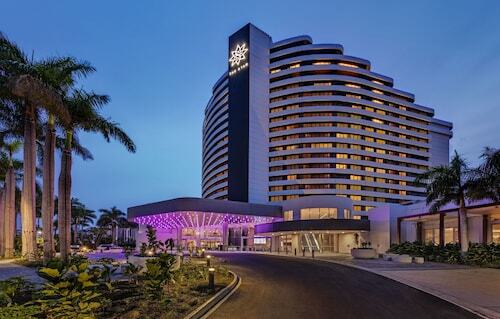 For something more upmarket, visit Marina Mirage, a hub of fine dining and shopping experiences. Many premium brands can be found at Marina Mirage, including Hermes, Max & Co. and Tommy Hilfiger alongside favourites like French Connection, Witchery and Mimco. Sound like a great place to stay? Then book your Southport accommodation with us today. Don’t forget your flight to the Gold Coast guide! Need insider tips on must-see attractions in Southport? Check out our Southport travel guide! How Much is a Hotel Room in Southport? Hotels in Southport start at AU$78 per night. Prices and availability subject to change. Additional terms may apply. Great location and refurb. Overall its great and feels new. Free parking is wonderful. Just not enough places to go have a drink with kids.